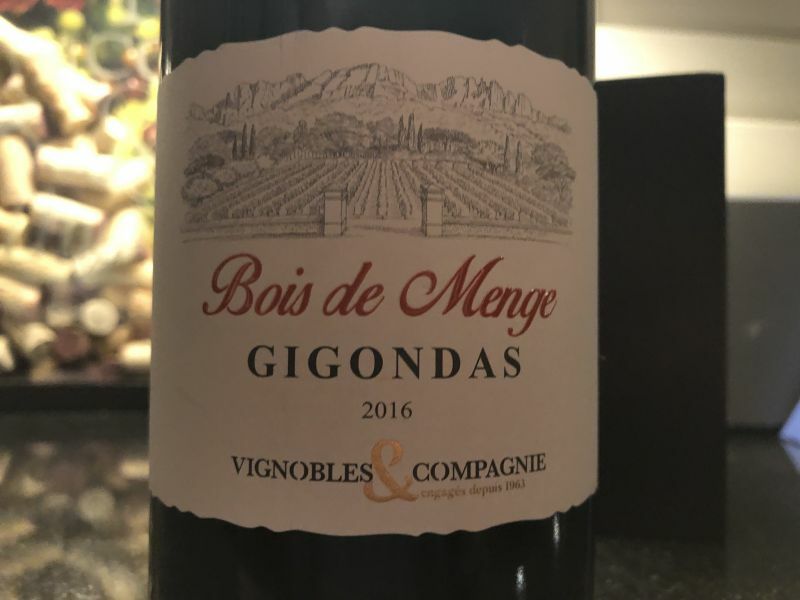 Bois De Menge is this week’s candidate for Bargain Wine of the Week. I purchased it from Trader Joe’s as we shopped for Thanksgiving food. The bottle caught my eye and as I looked at the bottle a woman said: “That is a great wine”. She backed the statement up by grabbing several bottles. Emboldened by this recommendation, I dropped it into our cart. 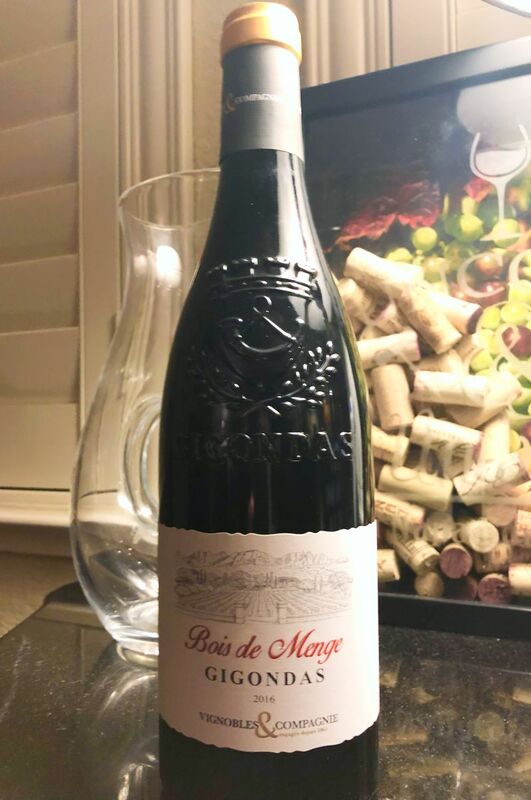 Bois De Menge is a blend of 75% Grenache and 25% Syrah from the Gigondas region of France. The region is in the Southern Rhône, less than ten miles from the more famous Châteauneuf-du-Pape. The Gigondas produces only red wines. Regulations require that wine from the AOC is a blend of two grapes. There are about 3,000 acres under vine in the region. Grenache (70%) is the most commonly planted grape in Gigondas. Syrah and Mourvèdre are second and third respectively. The nose was interesting, albeit bereft of fruit. It smelt of earth and vegetables with an edge of day old cigar smoke. The flavours were equally complex, with blackberry and cinnamon. The medium body wine offered excellent acidity. A medium to long finish revealed firm tannins expressed as black tea. After some time in the glass, redcurrant notes emerged. A fine example of rustic French wine. It is quaffable on its own, paired well with a beef burger and would, I think, would well with cheese. Given the $14 price, I recommend this wine.